Before opening or closing the sunroof, open the sunshade. To open the sunroof, push the sunroof control lever upward. 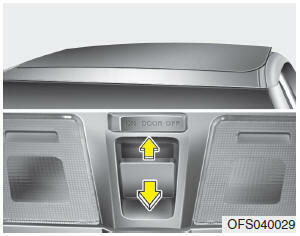 To close the sunroof, push the sunroof control lever forward until the sunroof moves to the desired position. • Be careful that no head, hands and body parts are obstructed by a closing sunroof.